Here’s a chilling thought for the Halloween season: if you’re visiting one of New York’s many amazing parks and squares, most likely you’re standing on land that was formerly used as a cemetery or potter’s field. And in some cases they even left the bodies behind! If you’re fluent in your New York history, you probably know a couple of these. Most of these burial plots date from before 1851, when the city passed an ordinance forbidding further burials (without explicit permission) below 86th Street. Historical cemeteries (like those at Trinity Church and Old St. Patrick’s) and land with private vaults (such as the East Village marble cemeteries) were allowed to remain, and unique exceptions have been made, such as the singular grave of William Jenkins Worth at Madison Square. “Where now are asphalt walks, flowers, fountains, the Washington arch, and aristocratic homes, the poor were once buried by the thousands in nameless graves.” (Kings Handbook of New York, 1893) When fashionable New Yorkers moved from the confines of lower Manhattan to the area of Greenwich Village, the burial ground was closed for business and a lovely park placed on top of it. Today, that ‘hot bed of miasmata’ serves as one of New York’s most bustling and vibrant outdoor spaces. But the city simply built over the burial ground. It was claimed during the 19th century that a blue mist could be seen hanging over the park at night, the creepy vapor of the remains underground. Are the bodies still here? Oh yes. This burial ground served New York’s first Quaker congregation, formerly called the Little Green Street Burial Ground of the Society of Friends (Liberty Place was once known as Little Green Street). Its location is currently in the shadow of the New York Federal Reserve. Are the bodies still there? Probably not, but the city gave them only six short months to move all the remains to a new location, so you never know what they might have left behind. Potter’s fields — where the poor or unclaimed were buried — moved frequently around the city as land values improved with the city’s growth. This particular area at 14th Street was once comfortably outside of town, but its proximity near Bloomingdale Road (the future Broadway) soon required its functions as a burial plot be transferred to other usable fields, like Washingon Square. 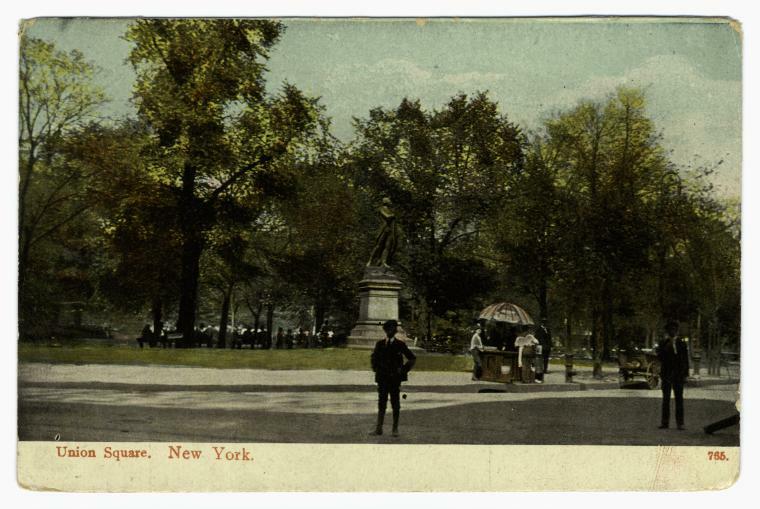 The land here was transformed into the ellipse-shaped Union Place, a strolling park surrounded by an iron fence. By the 1830s, Samuel Ruggles would modify it further into New York’s toniest park Union Square, luring the wealthy who quickly built homes of ‘costly magnificence’ around it. Are the bodies still there? Certainly not, given the park’s frequent renovations and the subway station right underneath. The short duration of this burial ground stems from the fact that it was used only to inter those who died at nearby Bellevue Hospital and the local almshouse during a devastating yellow fever epidemic. 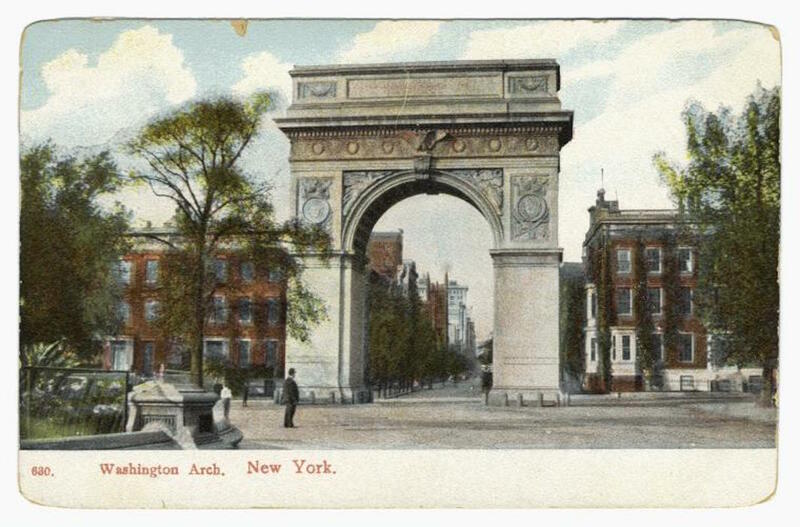 Later, with fears of a new war with England looming, the land was given to the U.S. Army as an arsenal, and the land that was later Washington Square became the official place to bury the dead. Are the bodies still there? There’s some evidence to suggest that some of the remains were never moved. How many? Unknown, although the epidemic took hundreds in the 1790s, and according to my estimation, there could be up to 1,000 buried here. 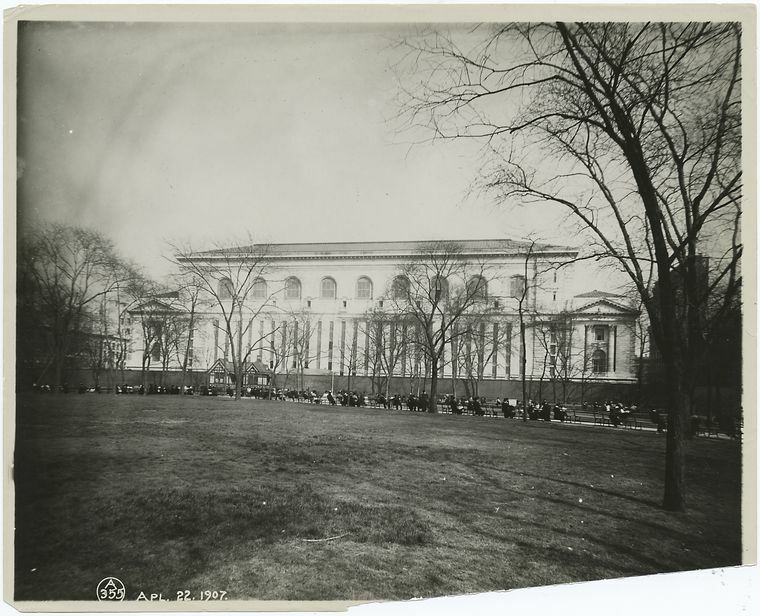 This land served New York’s Farm Colony, an occupational asylum for the elderly and orphaned, and later a convalescent home for those with tuberculosis. The cemetery was once well kept, but today most of the tombstones are gone, and the land is virtually unmarked. Part of the farm colony has become part of the Greenbelt. The ruins of the Farm Colony are, frankly, unbelievable. A family cemetery that became a horse pasture in the 19th century, cut through with cross streets, then designated a New York city park in 1932. Today, it’s the Newtown Playground. Are the bodies still there? Many (notably from reputable families) were moved piecemeal to family plots or to Hart Island, but it’s not clear that the city ever methodically moved all the bodies. But something else is definitely there. A Queens Annual Report from 1927, as referenced by the parks department, claims “[a]ll the old headstones, which stuck up like eyesores, were laid flat and covered with soil.” So enjoy that swing set, kids! Yet another burial plot for paupers, still further north of city center. Soon however the adjoining land became an ideal spot to put the Croton Reservoir, supplying the city with drinking water. And it wouldn’t do to have a bunch of gravaes next to it, right? Following a short time as the location of the Crystal Palace, the land was turned into a park, named after William Cullen Bryant. Are the bodies still there? The only thing you’re going to find under Bryant Park are miles and miles of library books, in tunnels owned by the New York Public Library. In the late 1850s, the city forced the potter’s field off the island entirely and the bodies were slated for removal to Ward’s Island. Given municipal corruption and delays, however, the project took years, with train passengers often greeted with the sight of coffin stacks and grisly open pits. Today, that former burial plot is occupied by the Waldorf=Astoria Hotel, built on the property in 1929, long since transformed by the Central Railroad and burial of tracks into Grand Central Station. Are the bodies still there? Given the deep excavations underneath Park Avenue to accommodate trains and skyscrapers, I don’t imagine anything remains. NOTE: Some of the dates above are estimates as record keeping for these kinds of things were hit and miss. Many dates are from Carolee Inskeep’s exhaustive survey of old New York burial grounds The Graveyard Shift.